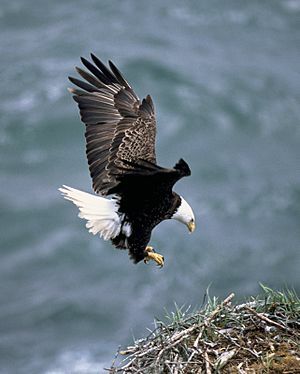 The sea eagle is any bird of prey in the genus Haliaeetus. Obviously, they eat fish. They are also called ernes or erns. Sea eagle Facts for Kids. Kiddle Encyclopedia.